Rodney Clements is the Pastor of Red Hill Baptist Church in Polkton, NC, where he has served since 2007. Prior to serving in his current position, he was an announcer at a large Christian Radio Network located in Charlotte, NC. He began preaching at the age of 16 and held his first pastorate at the age of 21. He is a graduate of Breckbill Bible College and Luther Rice Seminary & University. 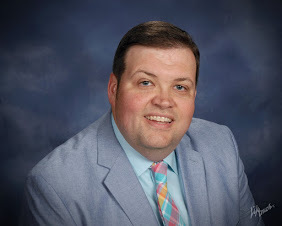 He has been privileged to serve in various capacities over the years including camp ministry, Christian school ministry, and revival speaking. He is married to the love of his life, Danielle, and they have 3 sons, Gideon, Gabriel, & Graham. If you'd like to schedule Pastor Clements to speak at your church or event please contact him here. Due to his pastoral responsibilities, Sunday and Wednesday availability is very limited. Pastor Clements holds to the Baptist Faith and Message 2000 as his doctrinal statement.